Here's a real stunner! 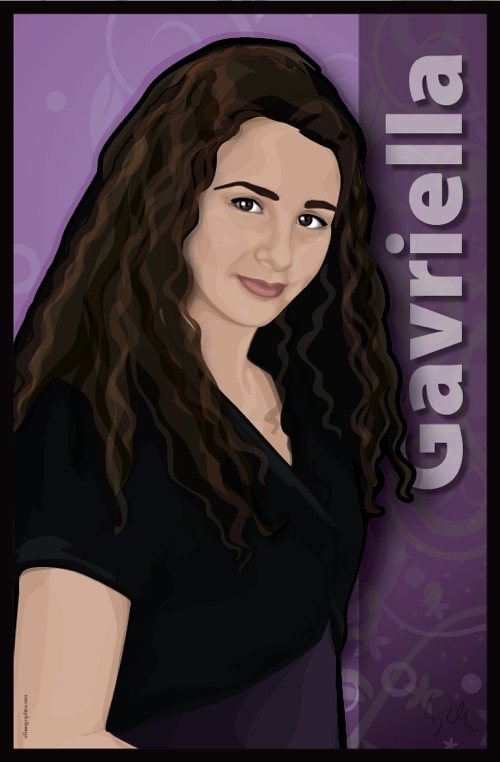 Gavriella is so gorgeous! 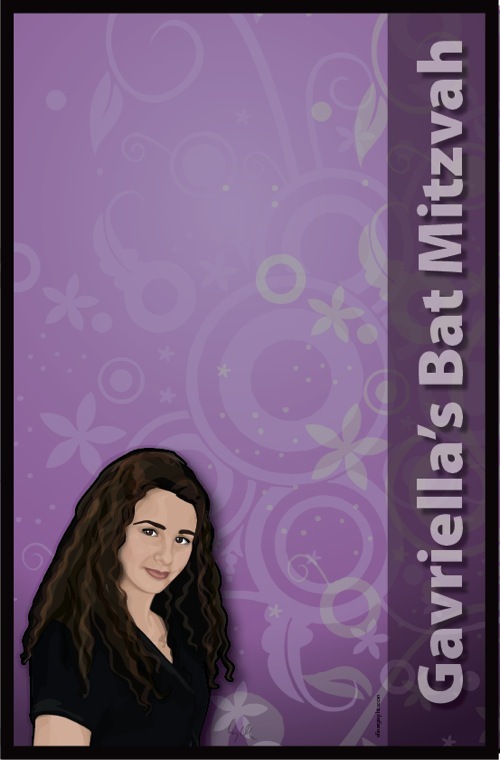 I'm currently working on Gavriella's invites for her Bat Mitzvah which will be presented in a 5" x 7" "Purple Haze" metallic petal fold card stock. They should be fantastic! Here's what mom had to say: "Looks gorgeous, we really love it." Sign In Art 23" x 35"